Entering the eclectic 19th Century two storey terrace house with ornate arched doorways and deep cornices the unique personalities of it’s inhabitants are evident. A series of small interventions contribute to the character of the interior and are a unique expression of the owner’s tastes and interests. 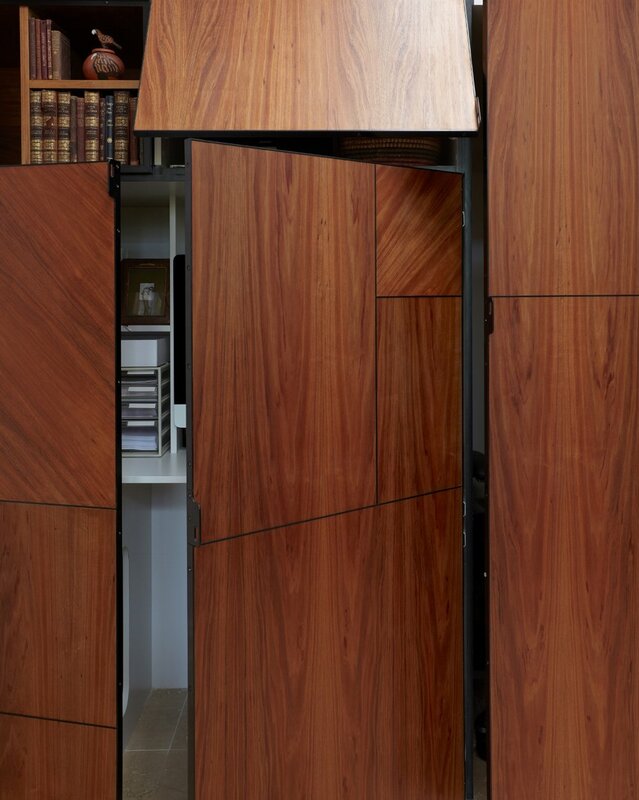 The new bathroom, powder room and complex study joinery are conceived as works of art in themselves. 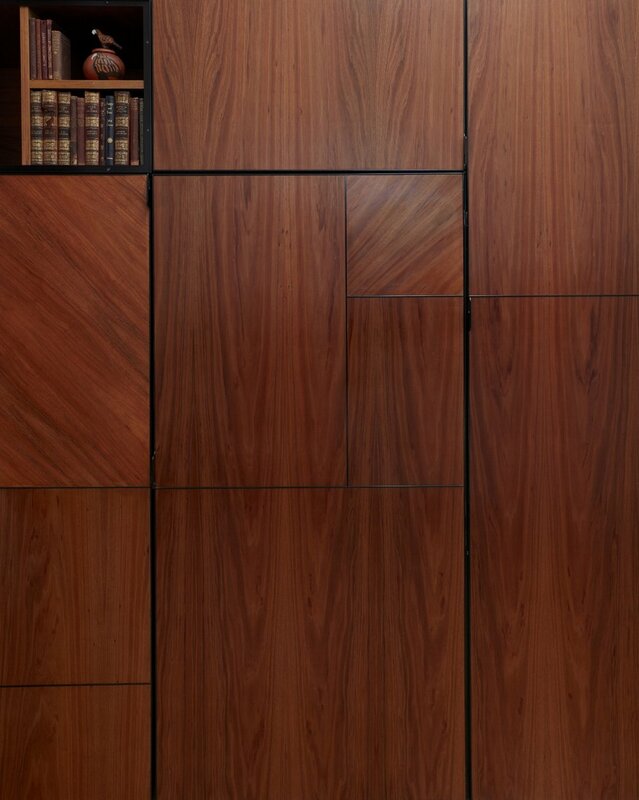 Materials selections are layered with meaning and memory. Selected to express their innate character and detailed in a manner to accentuate the craft and work of the contractors. 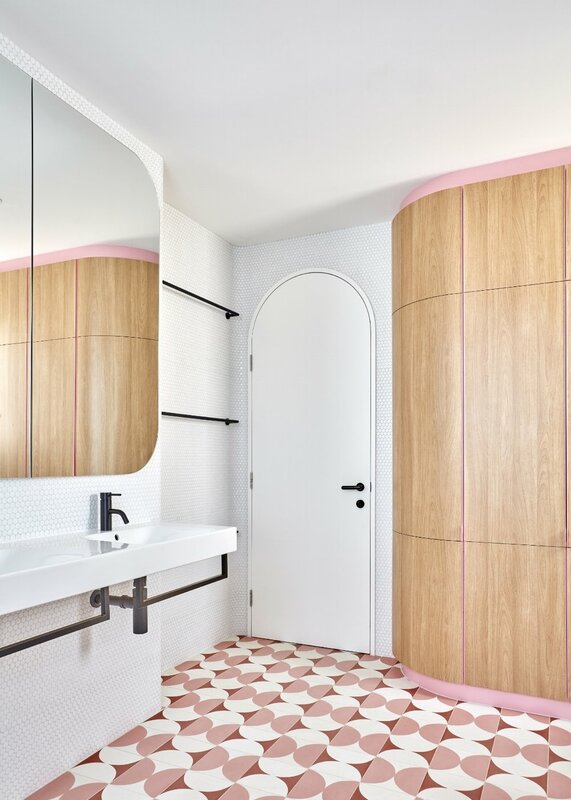 Hand painted encaustic tiles, uncut penny rounds that follow the curves around the corners, hand block printed wallpaper referencing the work of the owner, and waxed timber veneer complement the original materials of the house. 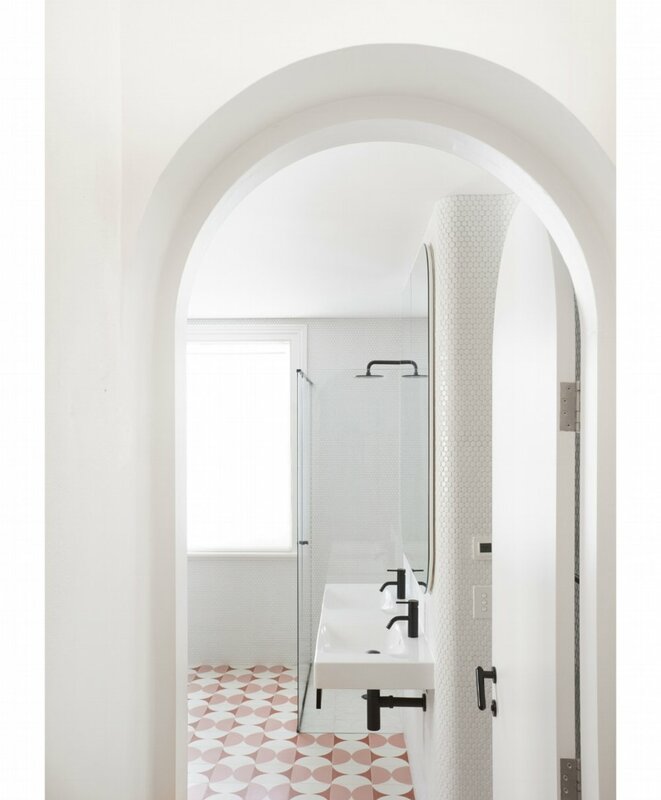 Possessing a strong personality and sense of individuality, the peaceful ornate bathroom, the surprising powder room under the stairs and the study joinery that reveals it’s secrets through use enrich the experience of the house. The density of ideas creates an architecture that is layered, referential and detailed in conception and realisation. The engaging peacefulness of the house is enriched yet remains undisturbed.